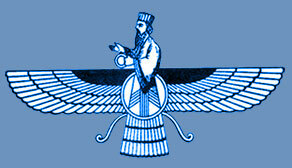 The Zoroastrian Sports Committee is the original and the official sports committee of the FEZANA. ZSC was established in 1988 by a small number of enthusiastic Zarathushti youth who conceived the idea at a wedding celebration.Since then, ZSC has grown to become the biggest Zoroastrian committee dedicated to promoting sports and sportsmanship among Zarathushti youth worldwide. Our goal is to promote unity and friendly competition among our youth and encourage them to lead healthier lives by making sports a routine part of their lives. Furthermore, the Games and other ZSC events have proven to create lasting friendships and unforgettable memories for all who attend. The first ZSC games were conducted in Los Angeles in 1988 with a small number of participants. Since then, eight Zarathushti Games have been held. This event has grown to become ZSC's biggest, attracting participants and sports fans from the United States, Canada, India, Iran, European and other countries around the world. The Games are held on the 4th of July weekend of even years. ZSC would like to thank everyone who has supported us through attending, volunteering and/or donating to our events. Without you, none of this would have been possible. We would also like to ask that you keep assisting us in any means that you can. Together we can create a bright, healthy, and unified future for Zarathushti generations to come.